Weekly Pokemon Broadcasting Station #023: "The Pokemon Investigation Network! Search for Orchid-Hakase!!" Pokémon Chronicles Episode 10: "Oaknapped!" As Orchid-Hakase is out rehearsing for a television program, Satoshi's old rival from the Sekiei League, Hiroshi, arrives at the Orchid Laboratory. There, Kenji and Hiroshi learn that the professor has gone missing! After reaching the TV station, our heroes are greeted by Kurumi, Orchid-Hakase's co-star. She tells them about the last time she saw the professor before he vanished, recalling two strange looking scientists showing up before his disappearance. Hiroshi thinks these two have something to do with the professor's disappearance, so he starts going around questioning the security guards. He eventually comes to the conclusion that one thief carted in a package big enough to carry a second thief, and that these two thieves worked together to subdue Orchid-Hakase before stuffing him in the box and wheeling him out. Our heroes soon learn that the kidnappers are none other than Yamato and Kosaburou! 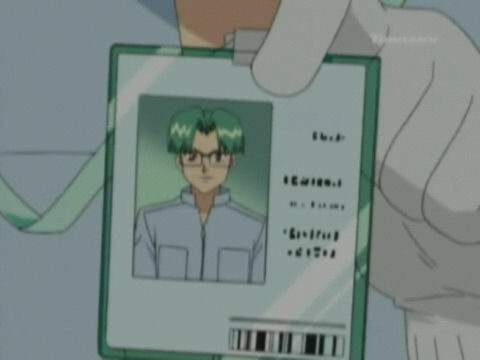 They had captured the professor under Nanba-Hakase's orders and started interrogating him to find out the secrets of the special viral life form, Pokerus. Hiroshi and the others appear at the Rocket-Dan's hideout and battle the Rocket duo, eventually defeating them by working together. After sending the Rocket-Dan blasting off again, our heroes rescue Orchid-Hakase. Now that the professor is out of captivity, our heroes watch as he goes on with the television show as planned. Eh, I guess this episode was ok. Seeing Hiroshi appear out of nowhere is random as hell, and Kenji doesn't really do jack squat in this episode other than draw a picture of a Pigeot, but it was still amusing enough. There was some nice continuity with the baby Lugia arc, and it was nice to see something like Pokerus being brought up in the anime. 4Kids continues the grand "tradition" of previous Chronicles episodes by making some really awful dialogue changes and unnecessary paint edits. This is also where 4Kids starts to shuffle around the order of the episodes...in Japan, "The Millennium Town Encounter" and "A Part-Time Job is Difficult Nyasu!?" (which is one of those two eleven minute stories in one episode deal) was aired before this episode. Why 4Kids decided to skip that episode for now and wait until the end of the series before they dub it is beyond me. For your reference, this episode was released between episodes AG 019, "Escape! The Island of Samehadaa!!" ("Sharpedo Attack!") and AG 020, "Muro Gym! The Entrance of Touki, the Wave Riding Gym Leader!" ("Brave the Wave"). In the Japanese version, Pokemon Ondo is used as the episode's ending theme. Léon (who's voiced by Ko'orogi Satomi, not Ohtani Ikue) keeps its Japanese voice. The overhead shot where Hiroshi enters Orchid-Hakase's house is five seconds longer in the Japanese version. Why do all the Orchid-Hakase Housou dubs have to have one completely bullcrap line made up by 4Kids? Tracey: "So tell me, what brings you to the Oak laboratory? You just passing through?" Richie: "I need some advice on how best to evolve my Eevee and was kinda hoping the professor can help me." Tracey: "He'd be the one to ask." Guess what? Hiroshi does not have an Eevee!! Originally, Hiroshi just went to Orchid-Hakase's lab to see the world-famous professor and take a look at all his pokemon. The Eevee lines make even less sense after Richie's "Ash and I tend to catch a lot of the same kind of pokémon" (which actually is a good translation of the Japanese line) later in the episode. Because Ash has never caught anything related to an Eevee. Richie: "Oh, so he's not even here?" Tracey: "He's at a TV station on Seafoam Island!" The Japanese term for Seafoam Islands is Futago no Jima (Twin Islands), but that's not what Kenji says in the Japanese version. The best I can figure out is Binbou no Machi (Binbou Town), but that isn't any town that I'm aware of. The town Kurumi first appeared in during the end of Jouto was Ebicha Town (which 4Kids called "Maroon Town"), so I don't think that's it. The line later in the episode about a "bridge to Fushia City" was originally just talking about how they've blocked all the exits out of this Binbou no Machi. We get a big cut here right after the above dialogue edit. Basically, we see the footage of Yamato and Kosaburou kidnapping Orchid-Hakase (luring him into the room, spraying him with that gas, etc.) that plays later in the episode play here as well. So instead of having the footage play twice in this episode, 4Kids just cuts this first instance of it so it looks like the scene at Orchid-Hakase's house is one continuous, uninterrupted scene. 4Kids does two things by removing this recycled footage. First of all, they save English viewers a bit of monotony that's present in the Japanese version because, well, seeing the professor kidnapped twice is a little bit of overkill. 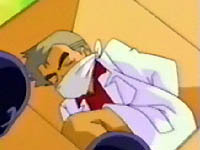 Secondly, I think the whole opening act of the episode just flows better since we, as viewers, aren't shown what happened to Professor Oak right away. The Japanese version just sort of hands you the solution to the mystery of Orchid-Hakase's kidnapping within the first three minutes of the episode, but the English version makes you wait a little longer before doing the same. 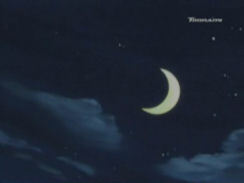 Two seconds are trimmed from the shot after the episode's title screen. 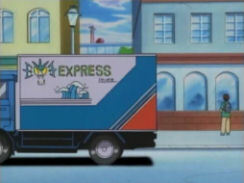 4Kids gets rid of the word EXPRESS on this truck. Mary: "No, it's OK. This is Professor Oak's assistant." Tracey: "Mmm-hmm...and this is...his nephew." 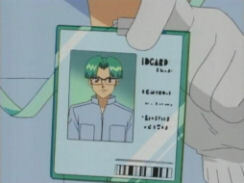 Originally, Kenji introduced Hiroshi as his friend, not as Orchid-Hakase's nephew. And even if the nephew line was there in the original, it wouldn't mean that Hiroshi is suddenly related to the great Orchid-Hakase. All it would mean is that Kenji is lying to get Hiroshi into the building. 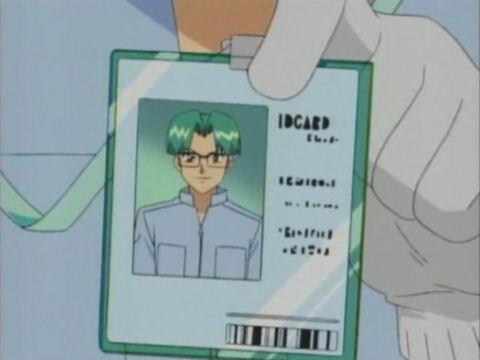 The next victim of 4Kids anti-English initiative is the words ID CARD. Later, the words PIGEOT TRANSPORT are erased from this truck. I guess 4Kids didn't want to go to the trouble of adding the letter D to Pigeot's name. 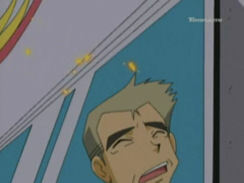 A three second shot of the lights indicating which floor the elevator is currently on is removed during the flashback of Orchid-Hakase's kidnapping. During the above mentioned flashback, 4Kids replays the footage from Kurumi's flashback. You know, the shots where Orchid-Hakase tells Kurumi to go on without him and that shot from Kurumi's point of view of the elevator doors closing. Now why 4Kids cuts out some footage but then replays other footage is a mystery to me. 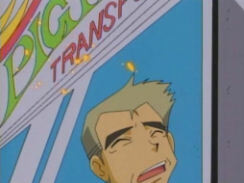 When Butch and Cassidy approach Professor Oak about the pokemon egg, they mention that they found it in the Hoenn region. Originally, Yamato and Kosaburou don't say anything about where they got it. 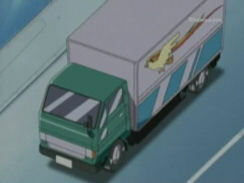 PIGEOT TRANSPORT is removed from Yamato's and Kosaburou's truck again...and again...and again. During the flashback where Nanba-Hakase tells Yamato and Kosaburou about his pokemon power amplifier thing, Yamato brings up the fact that it's the same system they used on the baby Lugia back during the Whirl Islands story arc. In the dub, this reference is removed and replaced with Cassidy making some comment about some pokemon rights group. Also, Yamato and Kosaburou constantly mess up Nanba-Hakase's name (with the most common goof-up being Nanja-Hakase), but none of this is retained in the dub. A second is removed from the shot where Nanba-Hakase starts to tell Orchid-Hakase about his project. The very next shot, where Professor Nanba talks about all his Pokérus specimens dying out, is three seconds longer in the Japanese version. Later, the shot where Orchid-Hakase refuses to tell Nanba-Hakase anything is shortened by five seconds in the dub. 4Kids replaces the nail-on-glass sound heard in the Japanese version with a much louder, more ear shattering nail-on-glass effect. They use it more often as well...originally we only hear the noise the first time Yamato and Kosaburou scratch the glass. PIGEOT gets erased a bunch of times during the Rocket-Dan battle. After the big battle of the episode, we see an establishing shot of Orchid-Hakase and Kurumi talking to an audience in the TV studio. This shot is five seconds longer in the Japanese version than it is in the dub. Orchid-Hakase: "Hiroshi, what brought you here?" Oak: "So what brought you around today, Richie?" Hiroshi: "I thought I could go to your laboratory and take a look at some of the pokemon you have there." Richie: "I was going to ask you something, professor, but after all you've been through today, well, it doesn't seem important." Kenji: "I can guide you through the lab if you want." Tracey: "Aw, go ahead and ask him." Hiroshi: "I'd appreciate that. But...why did the Rocket-Dan kidnap you, Orchid-Hakase?" Richie: "Well, ok. I was hoping I could spend a few days getting help from you with my Eevee." Orchid-Hakase: "They wanted to hear everything I knew about the mysterious life form, Pokerus." Oak: "After all your help today, you could spend a few weeks at the ranch if you'd like, my boy." Hiroshi: "Eh!? You discovered the mystery of the Pokerus?" Richie: "Whoa! Do you really mean that, Professor Oak?" Orchid-Hakase: "Not exactly. While I've figured out a lot of things about it, I'm not able to say that I've completed my research." Oak: "Of course I do. In fact, I could use your help. I've been meaning to set up a security system at the ranch, and you seem like you might be good at that." Kenji: "You prefer to study things you don't completely understand, don't you, professor?" Tracey: "Hey, it's almost time for us to be contestants on 'I Wouldn't Eat That if I Were You.' Do you want to come with us?" Oak: "I think I'll pass, thanks." Kurumi: "Orchid-Hakase, you must be tired after your big day!" Mary: "There you guys are!" Orchid-Hakase: "Yeah, I'm worn out!" Oak: "Oh, hi there Mary." Kurumi: "Hiroshi-kun and his friends must be tired too. Right?" Mary: "Ready to go on the show?" Kenji: "Yeah, let's go home!" Tracey: "I'm gonna win, big time!" Several things happen here. First of all, you'll notice how Richie once again brings up the Eevee that he doesn't have in the Japanese version. After that, Professor Oak starts going on about some security system that he wants Richie to install even though he said that he didn't need one at the end of "Showdown at the Oak Corral." Then, after that, 4Kids indulges in their favorite pastime of rewriting the end of a Chronicles episode because "I Wouldn't Eat That if I Were You" is sooooooo hilarious and is waaaaaaaay better than adding closure to the whole episode. 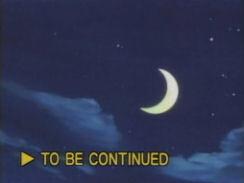 TO BE CONTINUED is erased from the dub. Well, Orchid-Hakase, you have one more Housou left. I hope that one fares better than your last two did.